The Creativity Collection from Swarovski is truly inspired. We adore the cirlces of rose gold encrusted with clear crystal pave, and decorated with a solitary crystal accent. It reminds us of the fluid nature of the creative process. 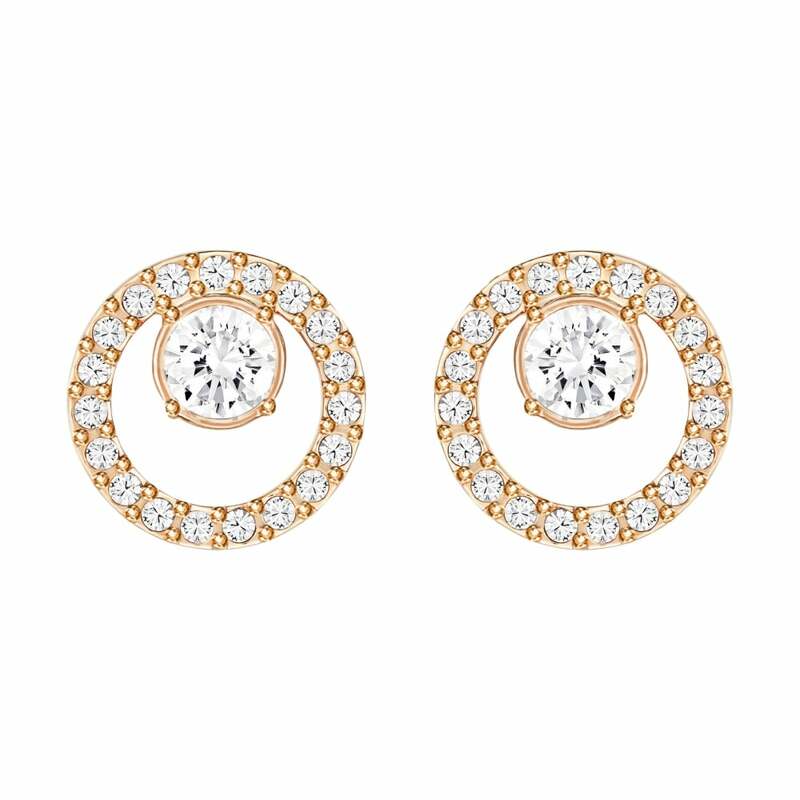 These earrings are the epitome of understated elegance. The studs are a perfect way to inject a little glamour into your day look, or could even be paired with other pieces in the collection for an opulent evening look. Please Note: For hygiene reasons, we are unable to offer refunds or exchanges on earrings and underwear. This does not affect your statutory rights.